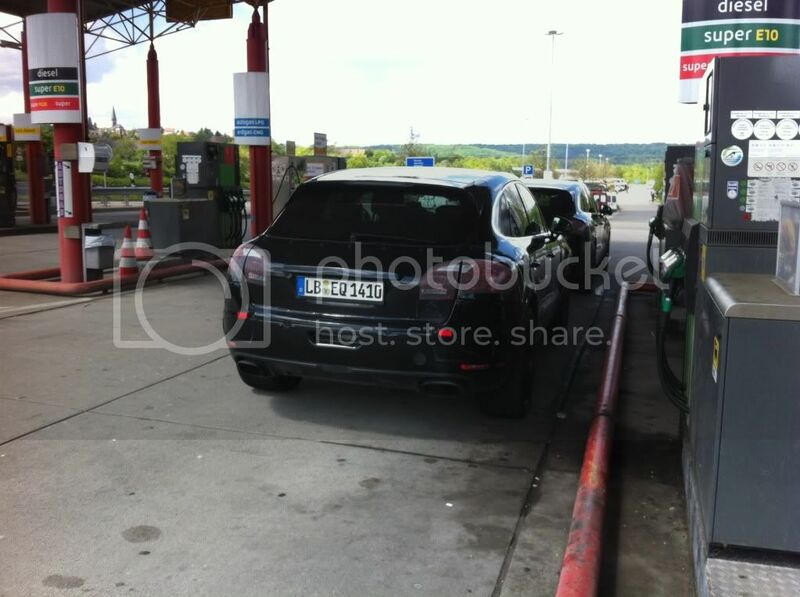 911uk.com - Porsche Forum : View topic - My own Macan 'spy pics'! 911uk.com Forum Index > Macan (2013-) & Pajun (2016-) > My own Macan 'spy pics'! 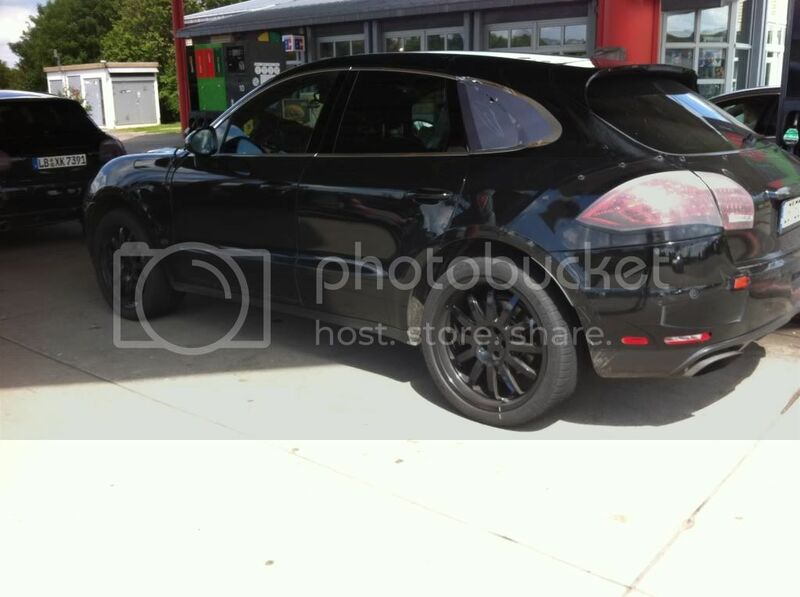 Posted: Wed May 29, 2013 3:57 pm Post subject: My own Macan 'spy pics'! I was surprised by how low slung they both were, they look much lower than the Q5 which I think is what these are based on. Think the roofline must have been at least 6" lower than a Q5...? It certainly didn't feel like a big machine standing next to it, in the way a Cayenne can tower over you (... or me...). So, have you ordered one in Riviera yet? 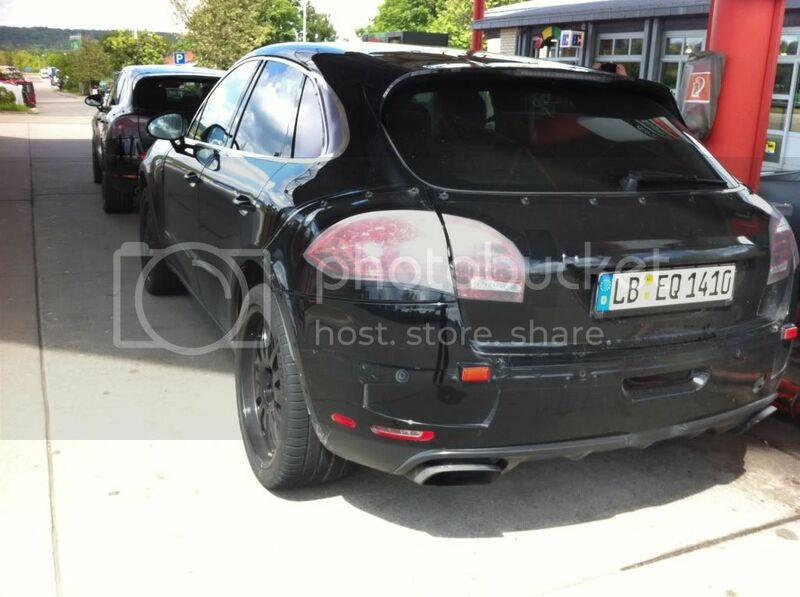 In photos it looks just like a Cayenne. I take it it's different in the metal? Looks great in my eyes. And it'll be a great success. I'm sure. Good spy-shot, Roro and nice description. 6" lower than a Q5, though? 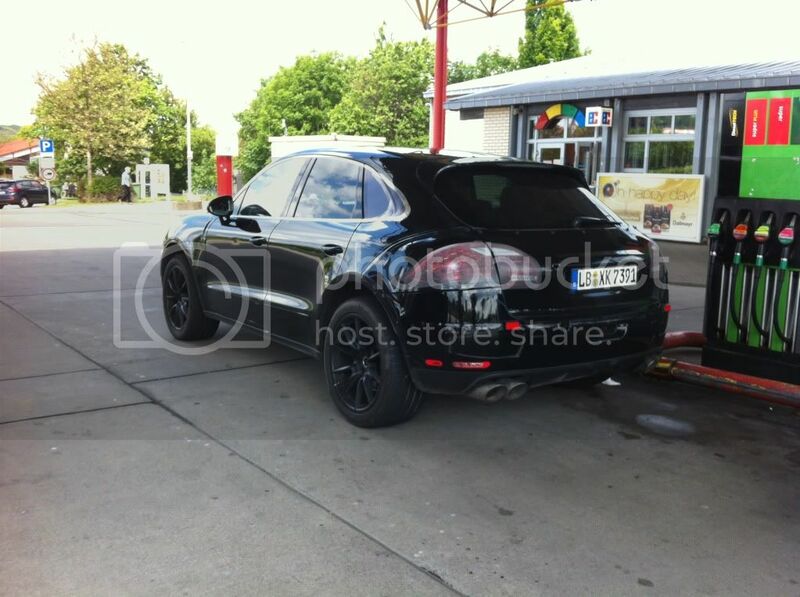 @ isysman, Maxie - From a distance does look like a Cayenne, but proportions are much slimmer. 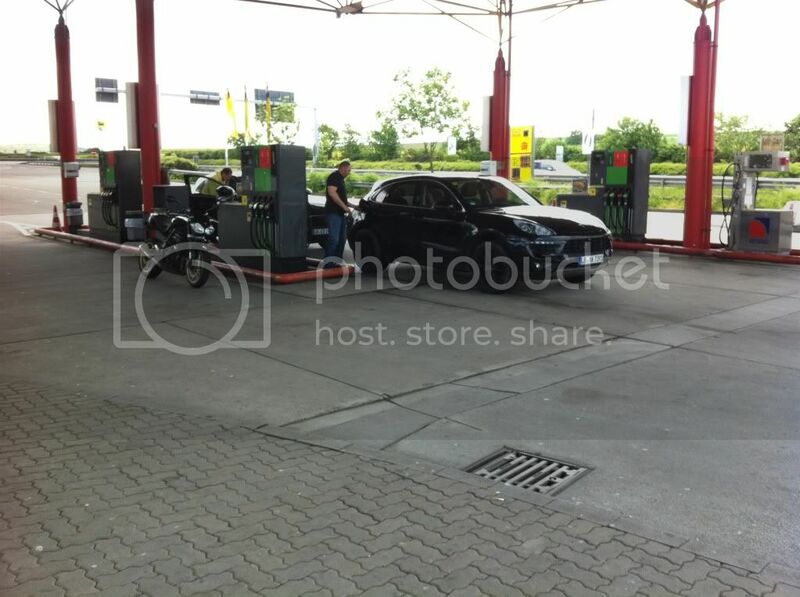 So for instance the guy filling up in the first pic was probably a bit taller than me so maybe 5'10/11" - a Cayenne (and Q5?) I'm sure would be up to about the top of his head as opposed to around his shoulders which is where the Macan sits. I liked the proportions a lot, in person it seemed large enough to be practical family car but also looked quite sporty and chuckable. It had a very nice feel to it overall, looked quite special I thought, can't wait to see what it looks like without the camo! Wow, eyesight really does fade with old age. G T 4 - CAN YOU SEE THIS? YOU NEED TO PUT ON YOUR GLASSES. So I am assuming the running joke from Saturday never got out of the traps? To my mind, the present Cayenne is already a small 4x4 when compared with RRs and other full size 4x4s...how much smaller can the Macan be? It looks like they are going for the traditional 911 rear look which was missing on the 996 C4 and only introduced on the C4S, similarly on the 997 C4S "